Eastern white cedar trees are coniferous evergreen trees in the cypress family. They are softwood trees, primarily found in wet sites and dry limestone ridges. The name arborvitae, or "tree of life" dates from the 16th century, when French explorer Jacques Cartier learned from the Indians how to use white cedar foliage to treat scurvy. An unusually tall conifer, the white cedar typically ranges in height from 50 to 70 feet with a pyramidal crown. The dark green or golden brown leaves are fan shaped and turn bronze in the winter. 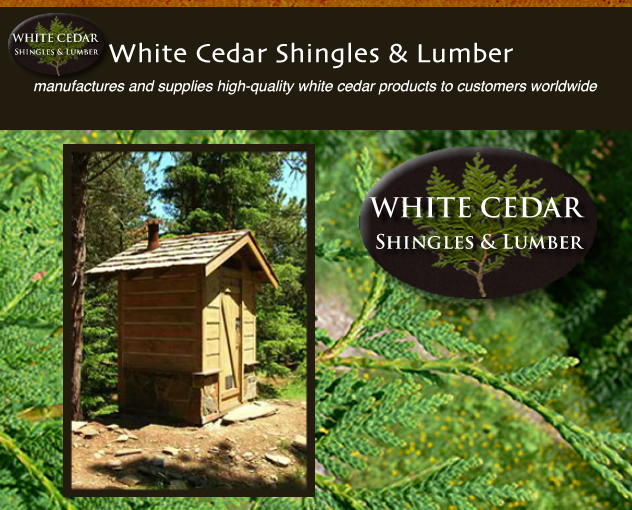 There are examples all over the world of white cedar shingles lasting well over 100 years. Even grain, fine texture and the lowest density of any commercial domestic wood. Unique cell structure that boosts insulation and reduces home heating costs.